Bohemia Interactive CEO Marek Å paněl thanks fans for buying over a million copies of DayZ Alpha in just four weeks. Following sales of 400,000 units in its first week, and selling over 800,000 in less than a month, Bohemia Interactive CEO Marek Å paněl has taken to Twitter to announce that over a million copies of the DayZ alpha has been sold to consumers in just four weeks. While this feat is impressive by itself, it's even made more spectacular by the fact that the DayZ alpha has a big disclaimer on its Steam page where it tells people to not purchase it -- in all caps. WARNING: THIS GAME IS EARLY ACCESS ALPHA. PLEASE DO NOT PURCHASE IT UNLESS YOU WANT TO ACTIVELY SUPPORT DEVELOPMENT OF THE GAME AND ARE PREPARED TO HANDLE WITH SERIOUS ISSUES AND POSSIBLE INTERRUPTIONS OF GAME FUNCTIONING." DayZ, which was originally an Arma II mod, was released on Steam Early Access and Bohemia Interactive's online store in December 16 last year. 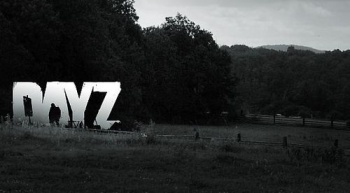 For those waiting on the final version, it might be a long wait, as the developers have already revealed that DayZ won't even reach beta status no sooner until the end of 2014. So, for those wondering why it seems harder to stay alive in Chernarus, don't forget that there's now over one million players just waiting to kill you for that can opener.